Over 15 years ago, while still in high school, I thought being a mobile DJ would be an amazing experience, and that is still the case today. How many people get to come to work, play music and have an incredible time? My background includes several years working in for local radio and TV stations. Presentation, delivery and appearance are very important to me. I take pride in making sure that every event is handled with a great deal of time and organization to ensure that your vision is fulfilled. 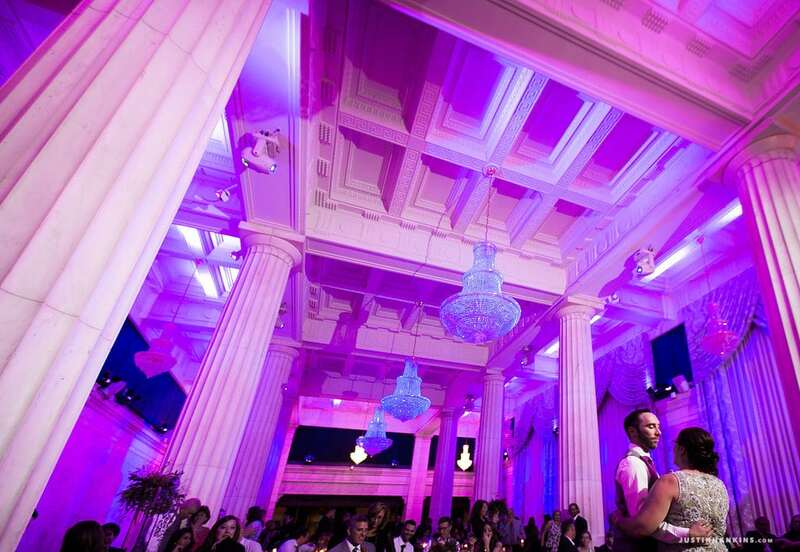 Some may say I am kind of a detail freak – I say it’s the only way to be with your big event. 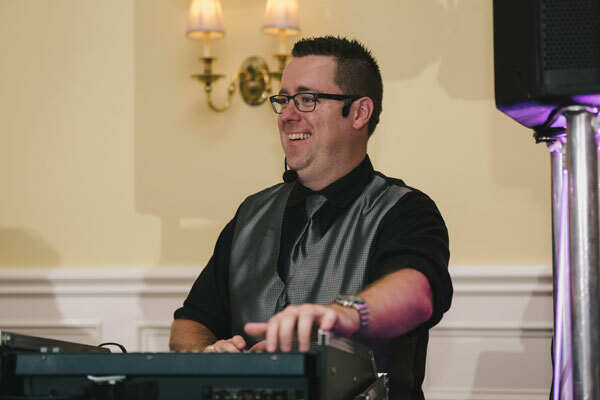 Whether it is a wedding reception, corporate function, family party, school dance or religious event my time playing the tunes has allowed me to experience a variety of events and venues all over the state of Michigan. If you are looking for someone who sounds like a monster-truck show announcer, then I am not your guy. I take a great deal time to get to know my clients and what they expect. Personalization combined with a great deal of class is just how I do business. 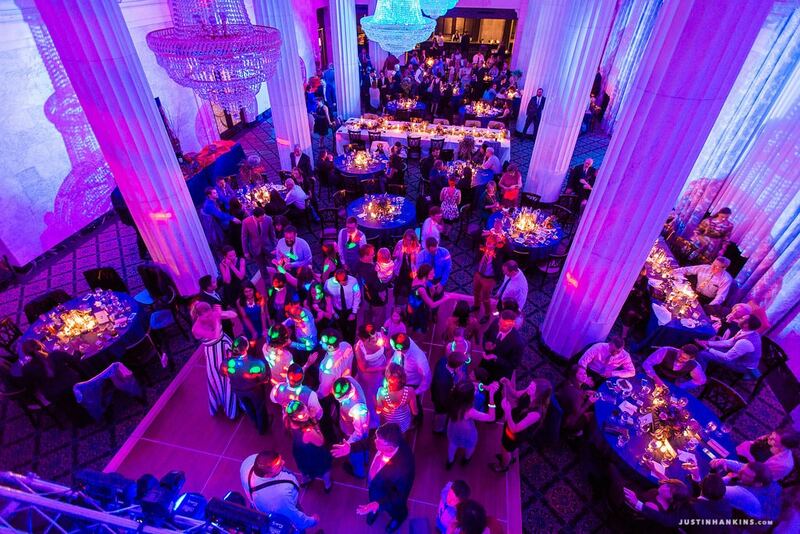 I promise not to offend your guests and only play the music that keeps them dancing the entire night! Thank you again for the opportunity and I can’t wait to talk with you soon! When the power went out DJ Aaron was prepared … and so were the guests! Absolutely top of the line. DJ Aaron was everything we had hoped for! 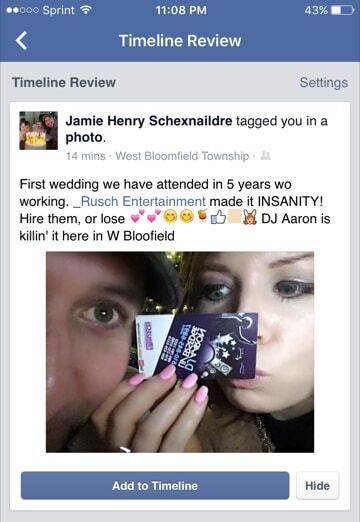 Rusch Entertainment went above and beyond to make my wedding day perfect. From beginning to end the dance floor was full. Our DJ Aaron was a superb master of ceremony and guided us through all the introductions and formalities. I received many compliments from my guests!! DJ Aaron was AMAZING! He was absolutely everything we were looking for in in DJ. Aaron went above and beyond in more ways than one. For starters, he helped me (the bride) get everything I needed for dinner, i.e. get situated and comfortable, before the specialty dances began. 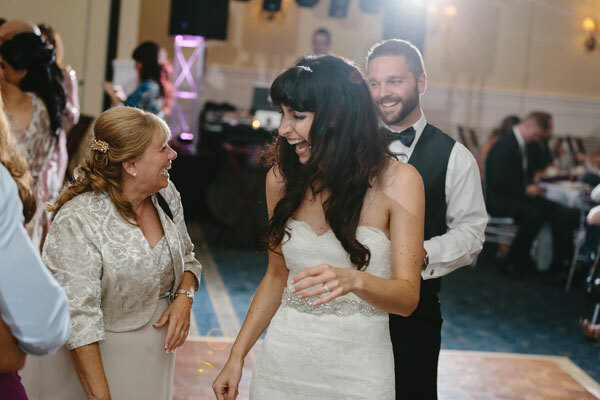 In addition, he was very thorough and double, even triple-checked, with both the groom and I to make sure our father-daughter and mother-son songs were the right song and edited correctly. Furthermore, he kept our dance floor full literally all night long! 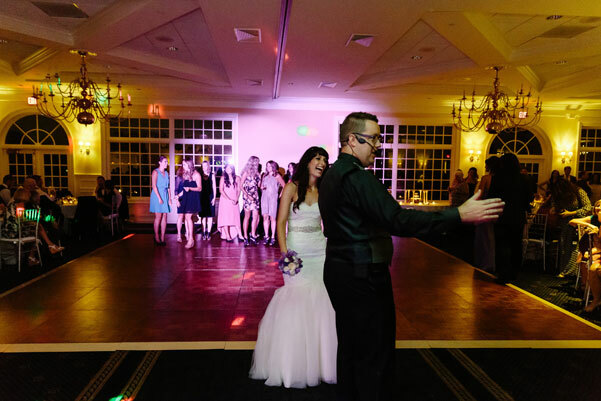 The groom and I absolutely love to boogie, so it was great to have a d DJ that understood our needs and engaged guests so that they had a great time on the dance floor too. 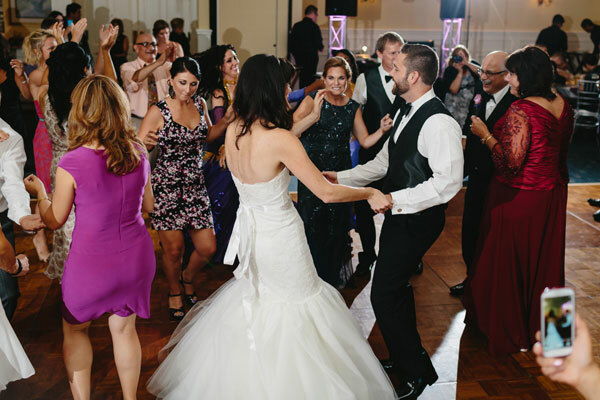 Our dance floor was constantly rocking with dancing, fun-loving guests, including us, and we could not be happier with how our reception turned out. He was kind to us, our guests, easy to talk to, and had our guests dancing into the night. 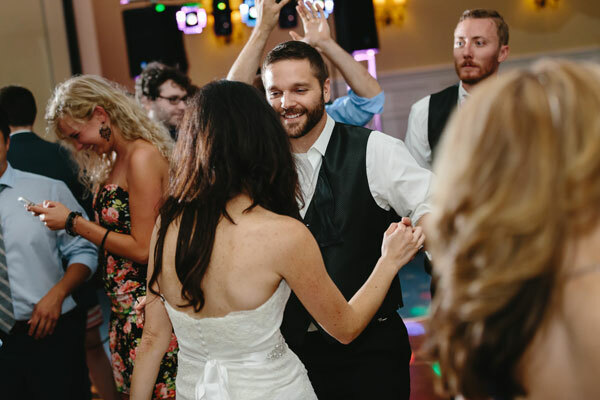 From start to finish, Aaron was wonderful and we cannot thank him enough for his expertise, music customization, and excellent DJ skills. We highly recommend Rusch! My son’s wedding was Sept. 2, 2018! Aaron was our DJ, he was fabulous!!!! Sorry this is the first chance I had to tell you. Would I recommend him? You bet I would! Everyone at the wedding raved about him. 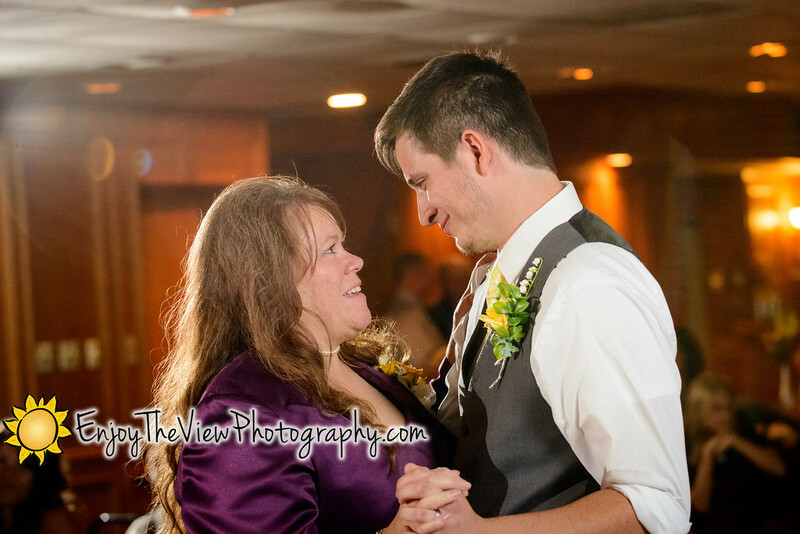 MY hats off to DJ Aaron for making my son’s wedding so beautiful!!!!!! 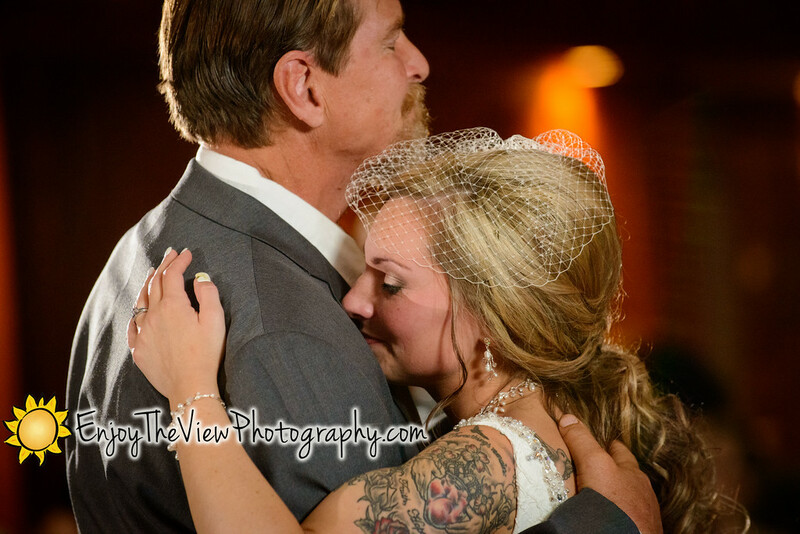 Cindee Cimaroi – Sunday wedding at Cherry Creek Golf Club & Banquet Ctr. 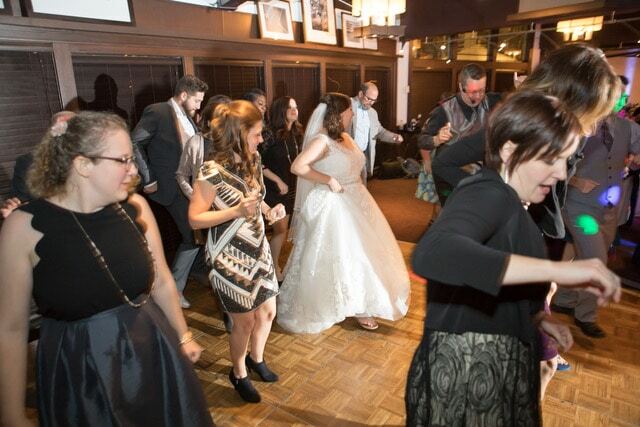 We had a lot of fun at our reception, and so did everybody else. 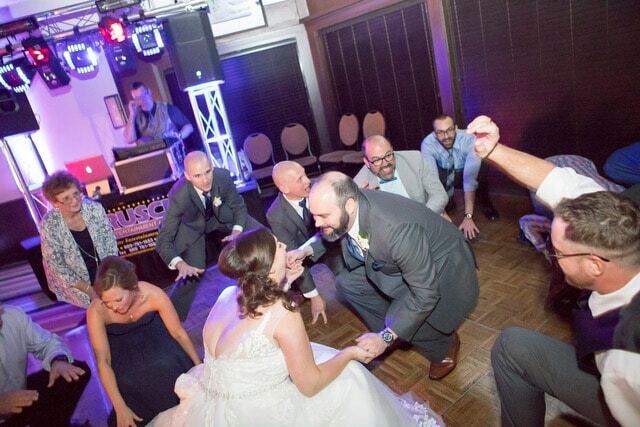 Many of our guests told us that this was the best wedding they’d ever attended, and a lot of that had to do with well-chosen music and good management of the floor. 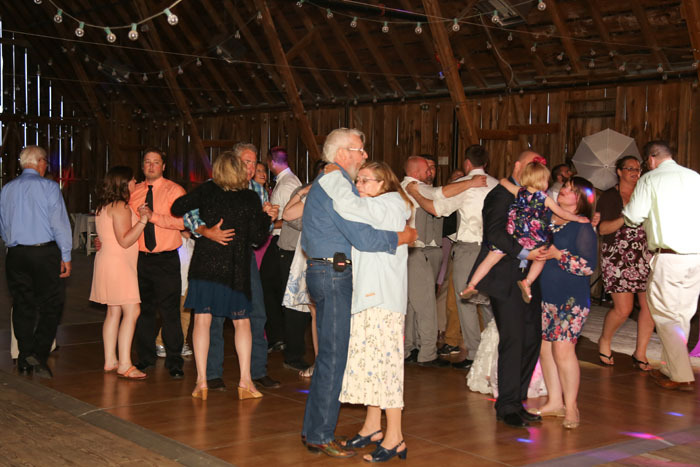 It had been a while since the last wedding and all the various groups of our family and friends liked each other, so there was more interest in conversation and less dancing compared to many weddings, but DJ Aaron took that in stride and didn’t try to force it. The music during cocktail hour and dinner was good stuff everybody liked but without dominating the room. He kept a good mix of songs going through the night, so that it was natural for people to jump back on the dance floor periodically for a particular favorite bit of music. He kept the energy level up and took requests so that the hard-core dancers who never left the floor were also delighted. Overall, we and all of our guests had a blast and we thank DJ Aaron and Rusch Entertainment for doing their part to extend and share in our wonderful day! 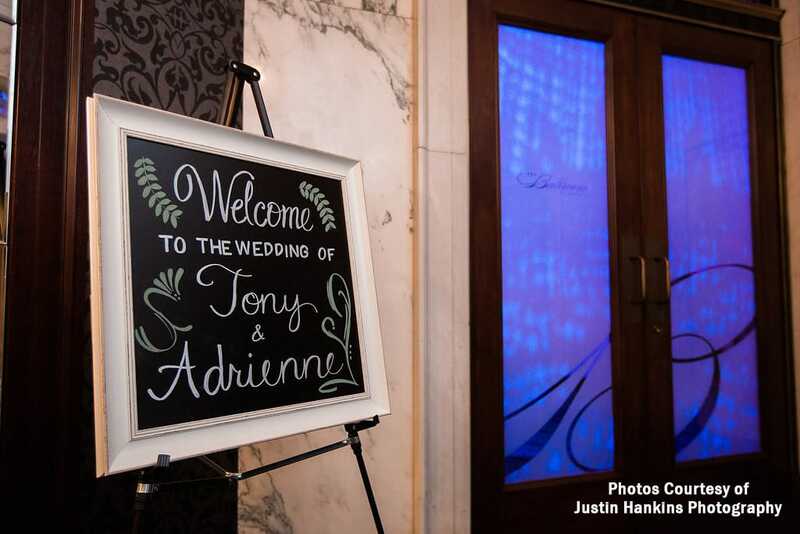 Thanks so much, Marisa & Patrick – Club Venetian Banquet Center About 200 Guests! I was just getting ready to send you a note to let you know that Aaron did a phenomenal job! He fit right in and took over when needed, it was perfect! He was such a delight to work with! 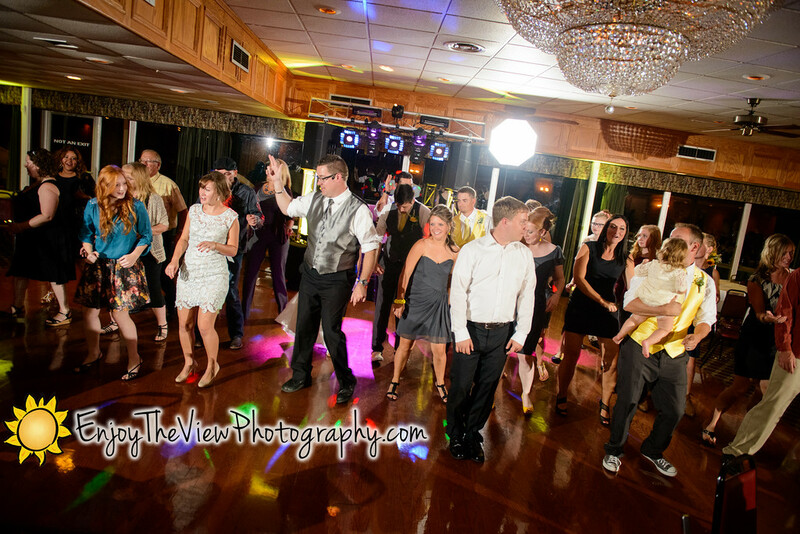 We had more people on the dance floor than ever and the music was just right for the audience we had. We are hoping we can book Aaron for next year but from what I understand, we would need to have our event on a Saturday again in order to get him as he is usually busy with the Auto Show. If you could guarantee the same price and Aaron, I will try to change our date to a Saturday, we normally do it on a Friday but our priest had a conflict. Thank you Dean! Worth every penny! I’m so glad I hired a professional to handle this big responsibility. A DJ is not a good place to skimp on, and my experience with Rusch Entertainment was excellent. So glad I didn’t just have a friend in charge of an iPod or something. DJ Aaron did an amazing job. I highly recommend him! My husband and I hired Rusch Entertainment for our post-elopement celebration. I couldn’t have asked for a better group to facilitate this event. Our host Aaron L. was incredible and kept the evening lively through mingling, dinner, dessert, and dancing. They had an up to date playlist, and were able to incorporate all of our special dance/special request songs. We had to coordinate with them from out of town, and they made it easy. Very reasonable cost. Would definitely recommend to anyone in Michigan! We can’t thank Aaron enough for his kindness, professionalism and overall amazing character. You made our day very memorable. You guys were absolutely amazing! Aaron, was Very knowledgeable and confident! We Appreciated everything you guys did for us!!! We had Aaron Liversedge as our DJ yesterday for our wedding. Can we just say AWESOME?!! Aaron is who we would call the epitome of a wedding vendor. He was there much earlier than we expected him to show up and he did everything we requested without needing to be prompted. He was there to help us with anything we needed, even if it didn’t fall in his purview as a DJ. He went above and beyond what is expected and I had so many guests come up and compliment what a fantastic DJ he was. There will definitely be many things that go wrong at a wedding, like ours did. You want someone like Aaron to be there for you for those types of situations. He was ABSOLUTELY the best hire we made for our wedding. He was the most helpful vendor we had and if I were to ever get married again (although I have no plans to do so), I would hire Aaron again in a heartbeat. PICK HIM! You won’t be disappointed. By the way, his uplighting is also amazing. We honestly have nothing negative to say about Aaron at all. If we could give him more than 5 stars we absolutely would. We made the right decision to use Rusch entertainment for our retirement party. DJ Aaron and comedian Bill Hildebrandt were both outstanding. They exceeded our expectations in every way. Bill got the party rolling with his hilarious narrative of life. He engaged the crowd, and had everyone laughing. The crowd was of varying ages and everyone loved him. We received so many positive comments. Everyone asking where did you find that guy? The “white Methodist ladies”, ” the stoner guy” and the “twentysomething guy” he used in his presentation was spot on. You would have had to be there to know what I mean. But trust me he was funny! Aaron our DJ was so perfect, I feel his talents will take him far into the entertainment business. He articulates well. His presence is both professional and warmly sincere. He went out of his way to make sure the evening’s events proceeded the way we wanted them to. He not only played the music we wanted, he took care of our family. We didn’t have to ask him for anything. He contacted me before the event, to get a feel for what we wanted and then delivered a very fun night. On a scale of 1- 10, he is a 15!. 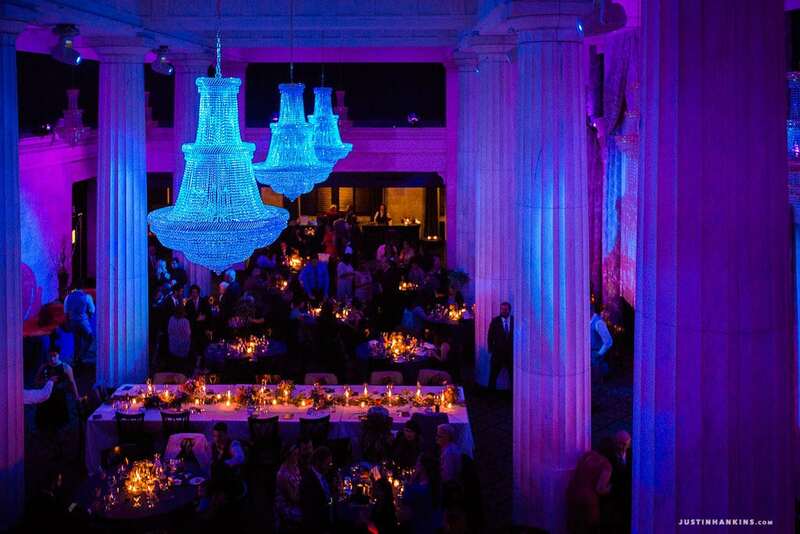 I recommend to anyone, if you want a perfect party, contact Rusch entertainment and you will have a night to remember! Aaron was awesome! We had Aaron at our daughters wedding in December. They loved him then too! When people came in for our sons wedding in March they were so excited we had him again!! He had the dance floor full till the last dance! Aaron was fantastic, great playlist and interaction with the kids. I would use and recommend Aaron again. About 100 attended the Daddy/Daughter Dance at Troy High School Thank you! Hi Dean, Aaron was great! 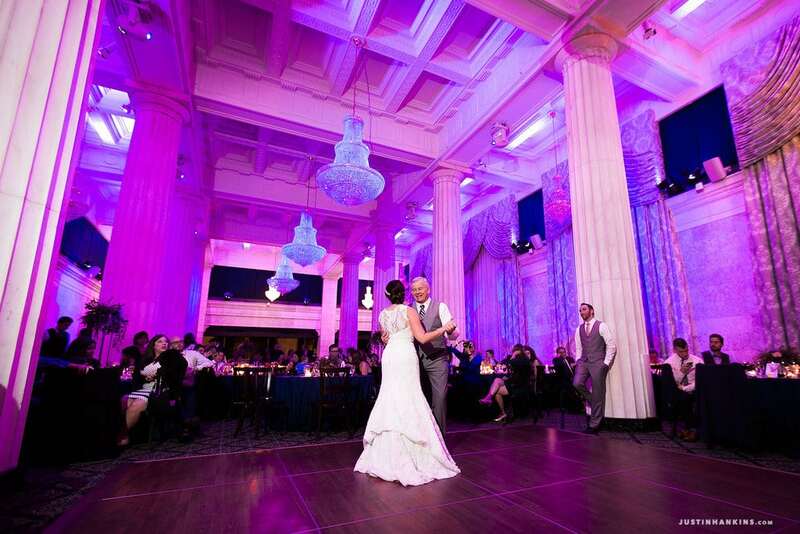 We were very happy and impressed with how our wedding reception went. 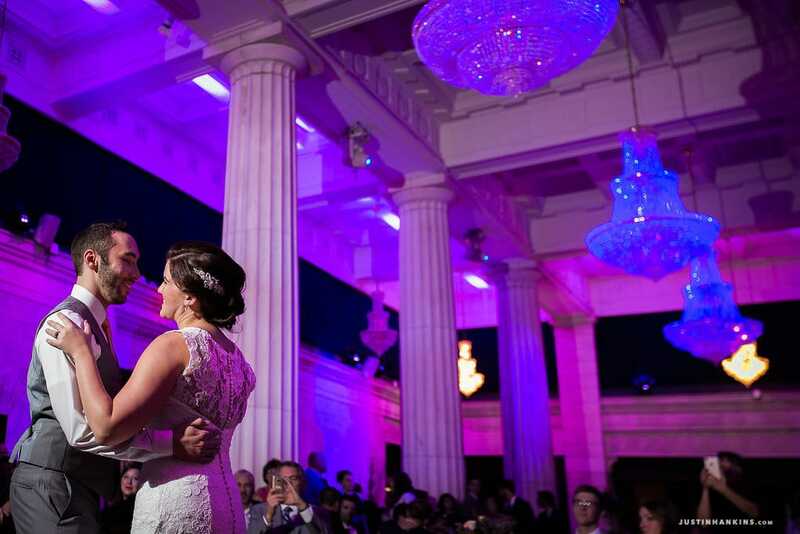 We look forward to providing some rave reviews on the knot for Rusch Entertainment and highlighting Aaron. Ballroon at McKay, Grand Rapids Hope you are enjoying the holidays! Apologies for the delay. Aaron was fantastic! We loved every minute! He created a very memorable evening for us!!!! DJ Aaron was amazing!!! He went above and beyond making our wedding day very special!! I would highly recommend him and this company to do business with! Thank you, Rusch Entertainment!! 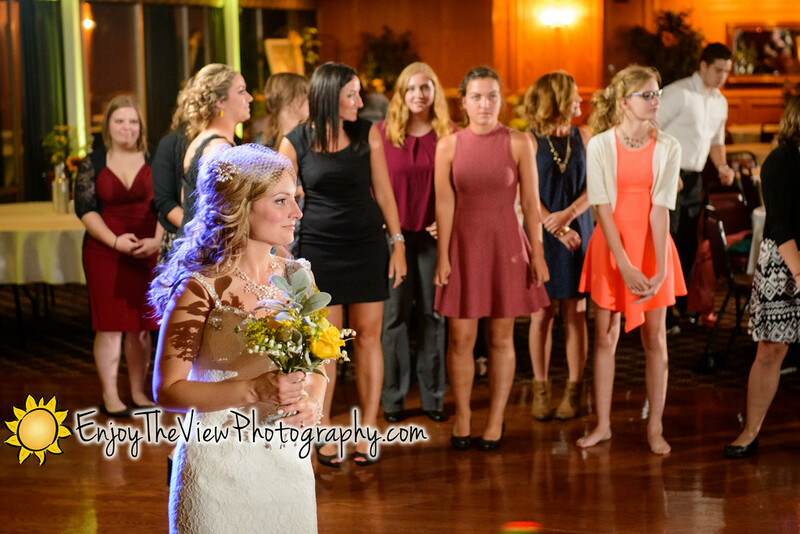 Emily Holder – Fall wedding at Bay Harbor Village Hotel & Conference Center with DJ Aaron for About 200 Guests! Aaron Liversedge was our DJ for the night and he was amazing!! He got people up dancing and the dance floor was full most of the time! People stayed until the lights came on and told us how wonderful he was! 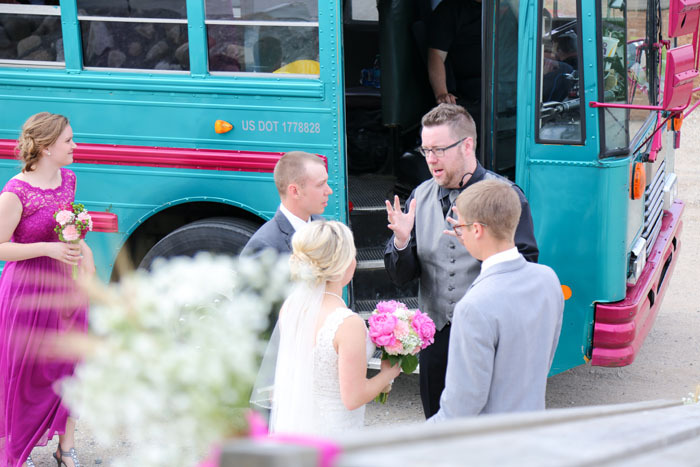 He was very personable, super friendly, and helped us keep the ceremony on track! 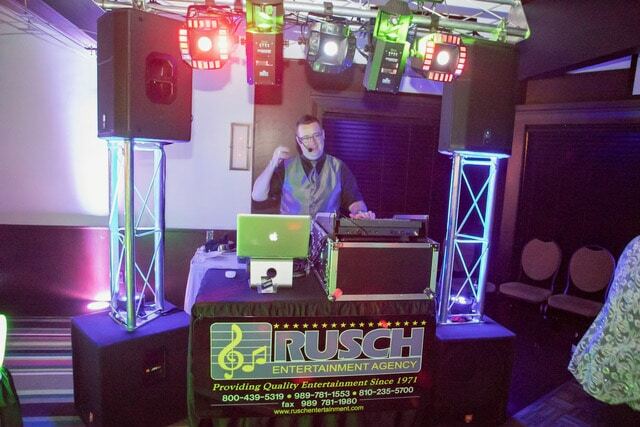 We highly recommend Rusch entertainment and DJ Aaron! Aaron did a wonderful job addressing the guests prior to the arrival of the wedding party and had everything ready to go. He was very, very nice and well excepted by the guests! We had so many people tell us how Aaron kept everyone dancing on the floor until the party was over. 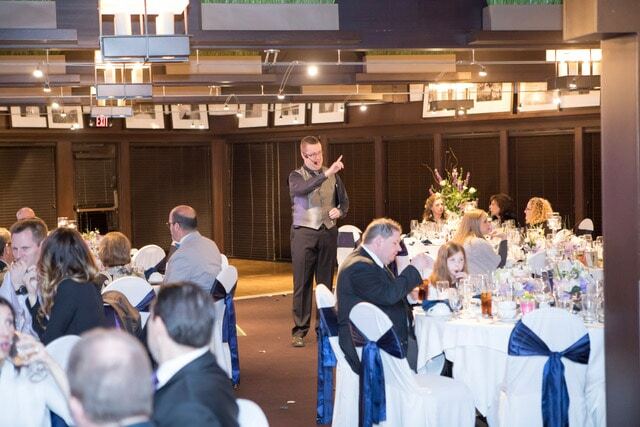 He made our reception flow smoothly and helped create a wonderful night! Thank you! Thank you for a wonderful night! It was so great to finally meet you, and you did an excellent job—who knew you’d also help me through the buffet line?! We enjoyed the night. It was quick, as we knew it would be, but the music was fun. You made an excellent impression on all of our guests. Thank you for being a part of the day! Thank you so much for helping us create such an awesome reception. As you well know, the DJ sets the tone for the reception. You certainly set a standard to make it hard for other acts to follow you. Some comments we heard included, “boy, that DJ doesnt quit”, “He doesnt give any one the chance to sit down” if sore legs and feet the next day are any indication of the fun we had, we sore had a blast! DJ Aaron was absolutely fantastic! Everyone had such a great time! He is so personable, professional, helpful and upbeat! It was wonderful to have such a great host with the most for our wedding celebration! The music for the ceremony outdoors was perfect too! Thank you so much! We had a blast! Your photo booth staff were awesome, too! The props were great and the set up worked well. 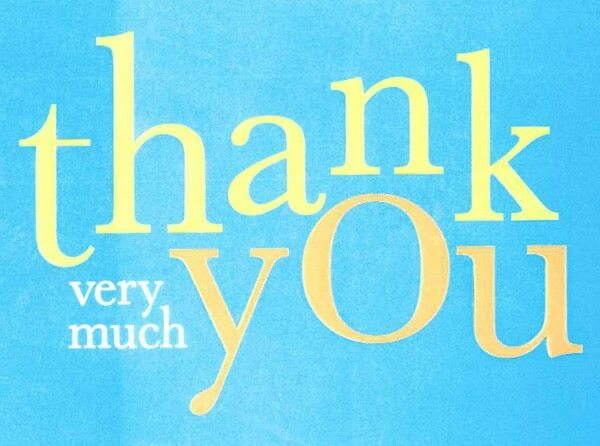 Your staff was very friendly and helpful and we loved our book. Also, Stephanie was so helpful and kind on the phone as well… and she made our photo strips match the image on our welcome sign. Thanks again for everything! You and your talented and professional staff were an absolute pleasure to work with! Thank you for helping make our day so much fun for us and our loved ones! It’s one we will always remember! Aaron was AWESOME to say the least. He not only did a terrific job all night of keeping the dance floor full, he kept everything on time and moving along. I’ve been to a lot of weddings that aren’t managed very well and can say that our’s rocked! (Even if there is bias in that statement.) Mackenzie and I were both very impressed. Thank you both for everything! Aaron did a fantastic job with our wedding! 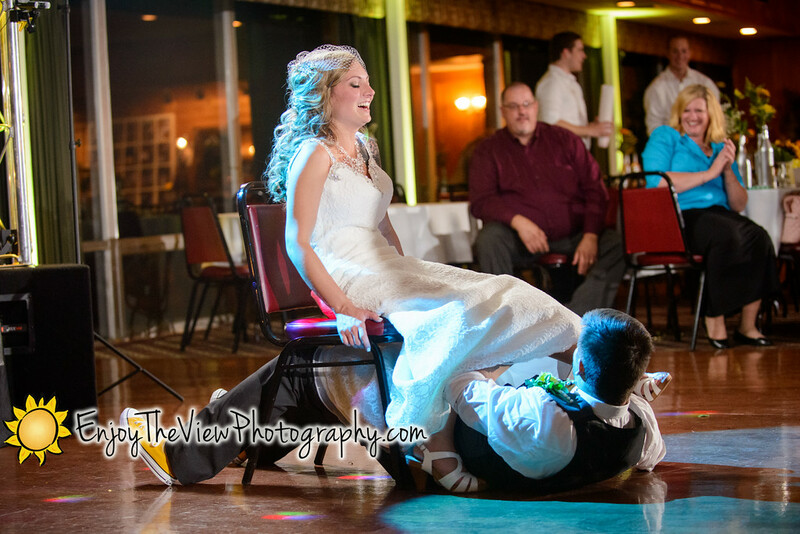 He really made the night come alive for our wedding. We had so many compliments on him it was incredible! Thank you Aaron for making our night unforgettable!! 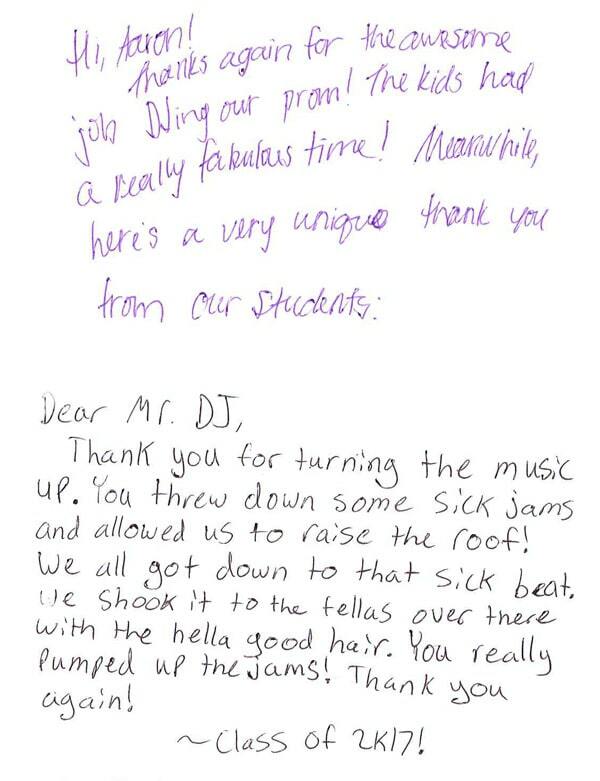 Dean, we want to tell you how happy we were with Aaron being our DJ for our wedding reception. He is so insightful, considerate, helpful, and gracious. He gave us a wonderful experience and memory of a great evening with friends and family. We would definitely recommended your company and Aaron. Hi Dean, Thank you to you and your staff for all the years you’ve provided entertainment for our event. We’ve enjoyed them all very much! 6 years in a row at the Bavarian Inn Lodge & Conference Center! Take care. (Year after Year) The party was a great success! We had a blast! Aaron was great as usual! Thanks again Aaron for a fun time at the H Hotel! See ya next year! Thank you so much for helping us create such an awesome reception on January 2nd. As you well know, the DJ sets the tone for the reception. You certainly set a standard to make it hard for other acts to follow you. Some comments we heard included, “boy, that DJ doesnt quit”, “He doesn’t give any one the chance to sit down”. If sore legs and feet the next day are any indication of the fun we had, we sure had a blast! Thank you again!! 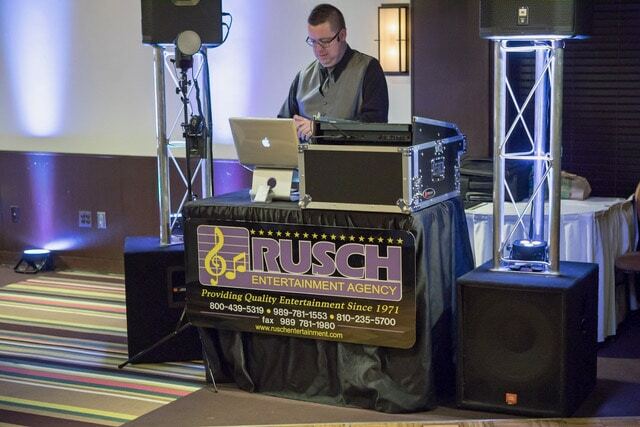 Dean Rusch was extremely helpful with helping me find the perfect dj for my wedding of 400 people. Dean Rusch called me personally which to me was what assured me that this is the company to go through. Dean is passionate about his company and truly cares for his brides and only wants there day to be perfect. Our DJ Aaron went above and beyond at the event pouring drinks at the head table, excusing tables to eat, announcing the wedding party, and announcing songs. He kept the night flowing on time. Everything went perfectly he kept the crowd on the dance floor the whole night. My advice as a bride get DJ Aaron tell him your songs for your main dances and let him do the rest you will not be disappointed. He also calls you a few days prior to the big day and goes over everything so you are never left wondering and are relieved that they are so organized. Aaron was great! His “money” music skit to get us all in the party mood, was just the ticket. This is the first year, in a long time, that we had someone on the dance floor all night long. Thank you so much for setting my husband and I up with an amazing DJ. Aaron was perfect. We have not one complaint. He really made the party. There was not one time that he let the dance floor be empty. He really knows how to keep the party going. To other brides: I wouldn’t even waste your time looking for anyone else to DJ your event this is the company to go with. Dean thank you so much for everything. You were so pleasant to work with from day one!! You are so professional and made sure I didn’t have to worry about anything. I can’t thank you enough! Thank you! We had Aaron Liversedge as our DJ, he was simply the best. He was super professional, was able to help us keep our event going smoothly and on time, leaving us more time to enjoy our reception, which is the most important thing. He was also played EVERY song we asked for and we have a very eclectic taste in music and he worked with us the whole time, even when we made last minute special requests. We had SOOOO many of our friends and family just rave over what a great time they had at the reception, Aaron had a lot to do with that. Honestly, best DJ ever. Aaron did a GREAT job at my sister’s wedding. As a professional photographer in the wedding business for over 13 years, we have worked with hundreds of DJ’s. Aaron stands out from the rest with his professional attitude, articulate announcements and fun mix of music! I knew her party was in good hands and we didn’t have to worry about a thing! 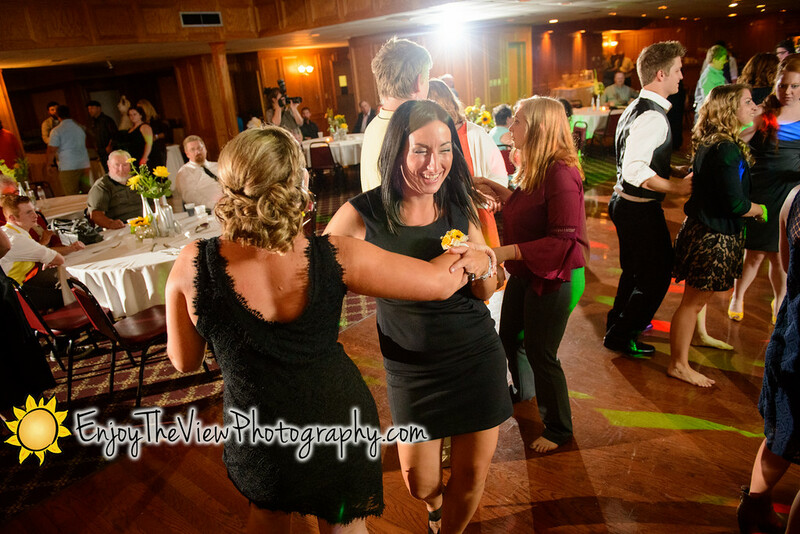 The dance floor was hopping all night…no easy task for a Sunday evening reception with NO alcohol. 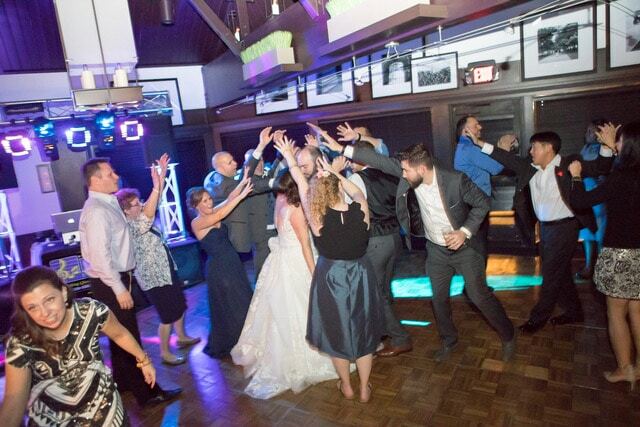 (Of course, we are a pretty fun crowd :)) A good DJ gets your guests pumped up and leaves them talking about what a fantastic party it was. 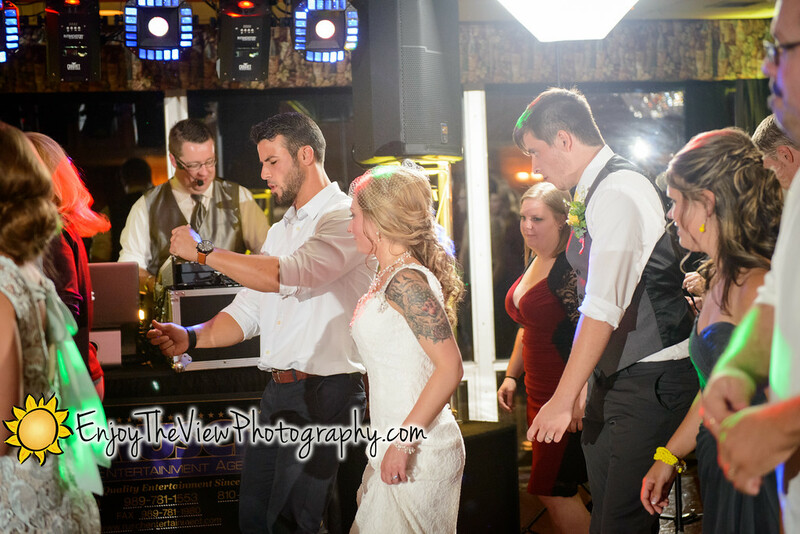 The DJ can also help make the photos from your reception amazing by communicating with the photographer and when everyone is having a blast the photos show it! Thanks Aaron and Rusch Entertainment for a job well done! We recommend you to every wedding couple that wants quality entertainment! Talk to you soon! Aaron did a FABULOUS job! We had many nice compliments about him and we couldn’t have been happier! He worked well with everyone to figure out all the logistics and keep me out of the middle. That was awesome! Would completely recommend him to anyone! Thanks a lot!! 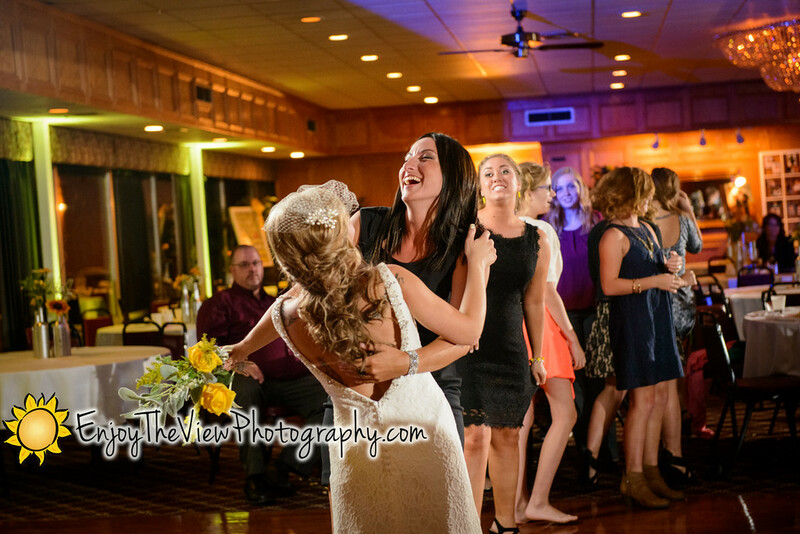 Lisa F. Human Resources – Caberfae Peaks Ski & Golf Resort Sunday Wedding! DJ Aaron was absolutely amazing. We knew he was going to do great, but he completely knocked it out of the park! Everyone danced all night long. Sensational! We would recommend Rusch Entertainment services to anyone in a heartbeat!!! 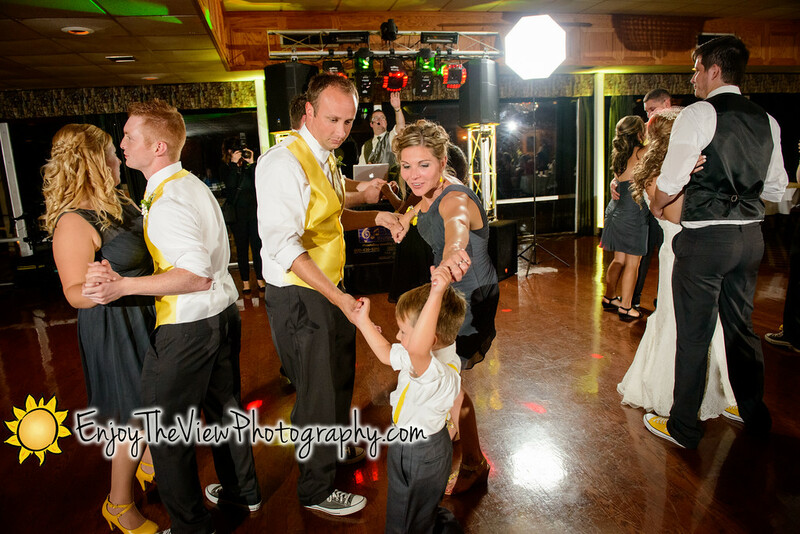 After the wedding, we received so many compliments about DJ Aaron. Not only was he a fantastic DJ, but a great host, greeting guests and welcoming them to the party. We had many elements planned for the night (belly dancers, live singing) and he handled it with ease. We booked him more than a year in advance. If you are thinking about booking a DJ, snag Aaron if he has an opening! Thanks, again, to Rush for a fantastic night! Aaron was phenomenal! Prior to the wedding, Aaron was extremely helpful. 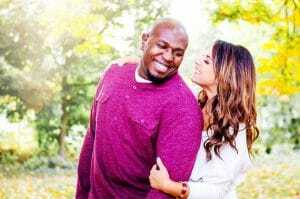 He contacted me over the phone a couple different times before our wedding and spent time reviewing our event timeline and song requests with us. He provided suggestions when we asked him questions. He also assured us that everything would run smoothly, which it did. 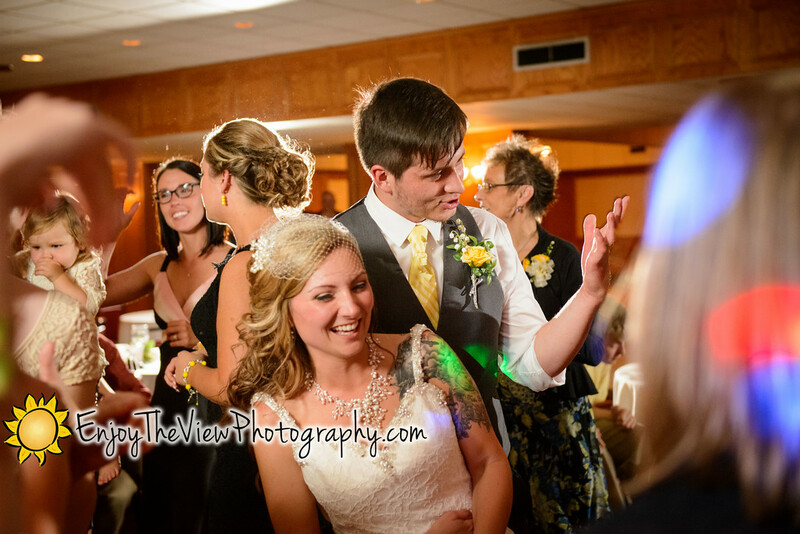 During the reception, Aaron was very professional and played all the songs that were requested throughout the night. He knew what music to play at every moment of the night. Everyone was constantly on the dance floor. Aaron’s experience and professionalism sets him apart from other DJs. I highly recommend Aaron to anyone who is looking for a DJ for any of their upcoming events. Loved everything about Rusch Entertainment. Great deal, Great people, AWESOME DJ! 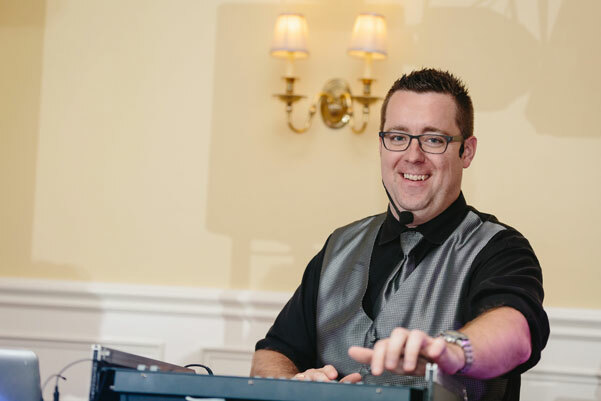 DJ Aaron did such an amazing job at our ceremony and reception. We received multiple compliments on how great he was with the dance floor crowd! 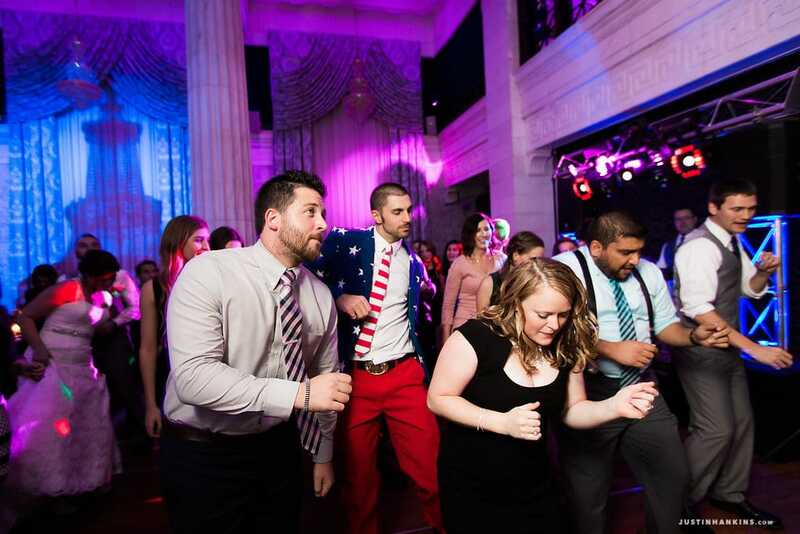 He even joined us on the dance floor and taught people how to do the Cupid Shuffle! We had a great conversation prior to the wedding so he knew exactly what we wanted for our wedding day. I Highly recommend them, and recommend DJ Aaron! We could not have asked for a more perfect DJ than Aaron Liversedge. He made our night unforgettable and our guests could not stop raving about how great he was. I will recommend him to anyone I know getting married in the future. Aaron really took the time to get to know me and exactly what I was looking for. We had a few phone conversations and met in person to do an entire walk-thru of the wedding day! He was so helpful and catered to all of my requests. He had such a great presence at the wedding and always made sure I knew what was coming next since weddings go by so fast. I’m so grateful that you recommended Aaron to me during our first conversation when I was looking for a DJ. He was the perfect choice! 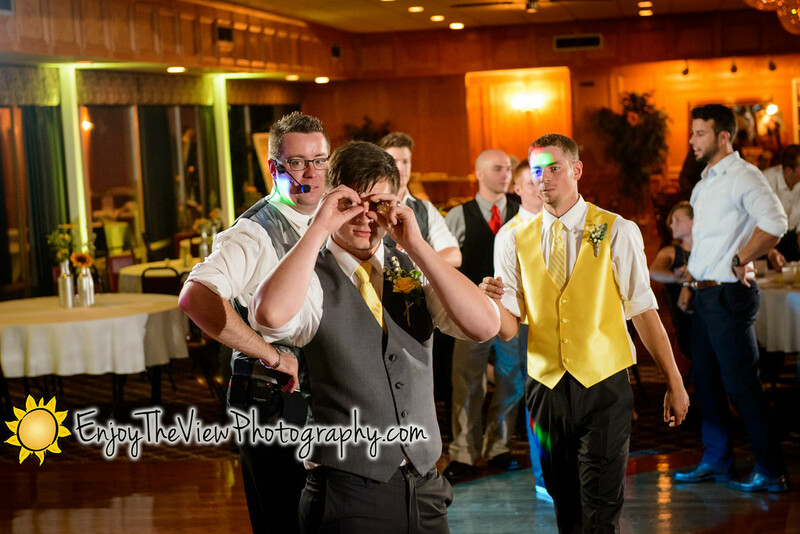 We couldn’t ask for anything better than how Aaron handled the whole wedding reception. The night turned out fabulous! We would definitely recommend Rusch Entertainment to anyone and everyone! Thank you so much for all of your help! THANK YOU for making our wedding day a million times easier! You have been fantastic to work with. We truly appreciate all the work you have put into making our reception a wonderful experience. Thanks!!! Awesome! DJ Aaron was fantastic. I received 2 calls from him (and 2 calls from Dean Rusch) to set everything up and plan the music for the night. He was a great emcee and played music that kept our guest dancing all night long. Rusch Entertainment is the way to go in Michigan for sure! Thank you! It was really great working with you. 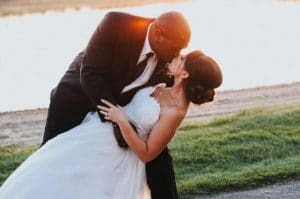 With all the options out there for the music side of the wedding, you were very attentive to the details and really kept it simple for me – which, is exactly what I needed. I appreciate everything you did to make our party a success. All the guests commented on how great the music was and how you kept everyone dancing. Thanks for everything. I will keep your name in mind if I come across anyone looking for a DJ for their event! I just wanted to say thank you so much for being our DJ back in June at Castle Farms. People that attended still tell me what a great time they had and what a great party it was. You kept the dance floor packed the ENTIRE night! You were also very reassuring to me with being able to contact you via text and talking on the phone to make sure everything would go smoothly. I just wanted to say thank you and if you ever need a recommendation please send your future bride’s my way! Thanks again! Brittany and her friends had a wonderful time. Aaron was fantastic ! He played all of their favorite songs and he was fun and energetic. He was also very polite and accomodating to the adult chaperones with their song requests. We thank you and Aaron for making Brittany’s party a very memorable one. Thanks so much. We will certainly refer your organization to our friends. 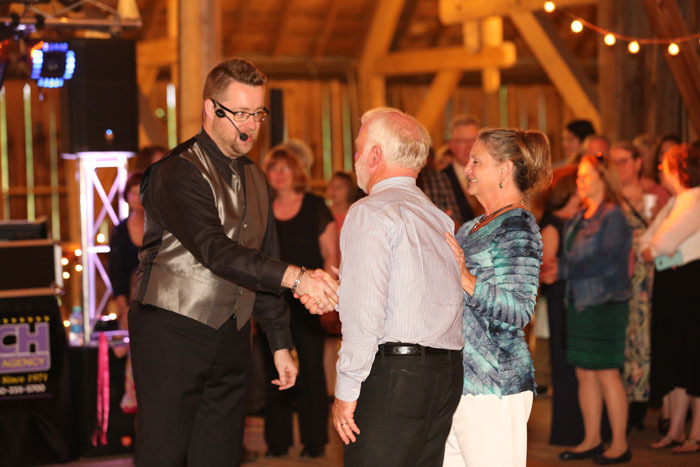 We were referred to Rusch Entertainment by our officiant, who has worked with them many times. Our DJ was Aaron Liversedge, and we would highly recommend him. 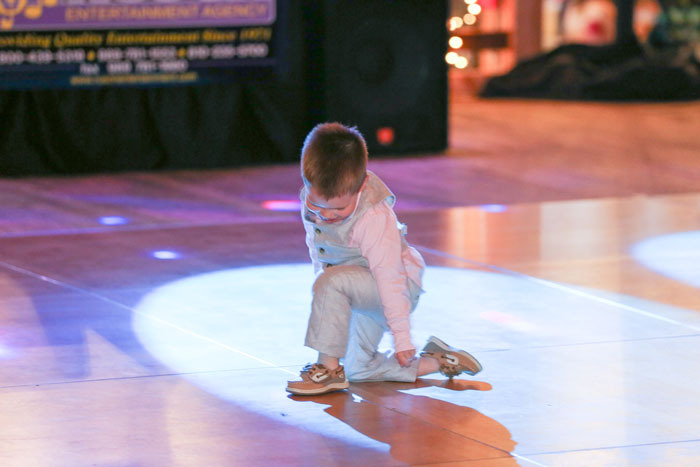 He was able to get the dance floor full and keep it that way. He was so much fun, and even did our ceremony music and let us use his wireless mics for the ceremony. He is easy to get a hold of (as is anyone at Rusch… send an email, get a respose the same day) and we were able to talk about our music the week before. Very no hassle operation, loved the DJ (we got compliments!) and would recommend to anyone! Hi Dean, Just wanted to send a quick note of thanks!! You did a great job as always!! Everyone had a blast and said it was a great party! We appreciate how organized you were and everything went so smoothly! Thanks for helping to make our day perfect!! Thank you Aaron! Dean …. 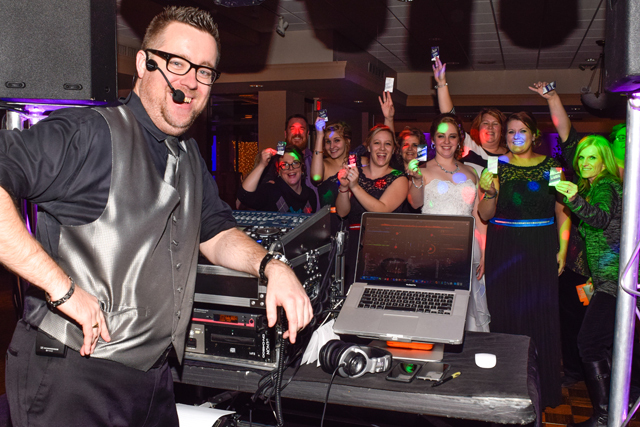 can’t thank you enough for sending Aaron to do our Sock Hop November 21, at the Italian American Banquet Center in Livonia … I have always said “the DJ makes the event! !” Oh, and by the way, I am throwing out all other DJ business cards!!! Aaron did a fantastic job for our wedding at Forest Edge! The music was awesome and he was able to keep the crowd engaged for the whole night. We were extremely satisfied and will be spreading the good word about Rusch Entertainment! Thanks so much for making our wedding day perfect! Feel free to publish this comment on the website. Aaron was absolutely amazing!!! I didn’t get off the dance floor once … I stood around at one point and just soaked in all the smiling and happy faces … he did a great job 🙂 He was always immediate to answer emails and did not once act frustrated about ‘mixing up’ songs for me … he was a pleasure to work with at the Doubletree! I wanted to thank you for recommending Aaron. He was by far more than we could have asked for. I still have people contacting me expressing how amazing he was. When he helped my wife through the dinner line I was honestly amazed at his professionalism and genuine personality. I have never met a DJ who I felt comfortable with untill him. Aaron really made everyone comfortable, helped all of us along the way and was very understanding with our crazy off the wall requests. We had a a slight issue with the sound at the ceremony and I could tell he was upset, but it honestly did not effect anything. He adapted and overcame the situation and worked very hard for us. I will always refer people to Rusch Entertainment and specifically Aaron. Thank you all for your help and please pass on my appreciation for Aaron. 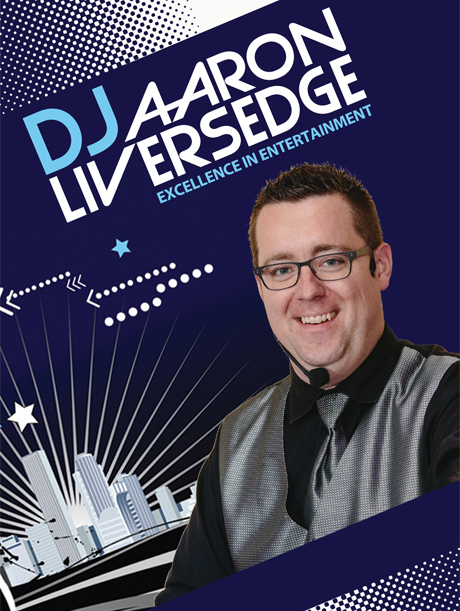 Aaron Liversedge was our DJ for our Wedding on June 6th. Aaron did an outstanding job and helped in making this evening a very special one for Nicole and I. He interacted with the guests and helped even helped to show us how to do some of the dances. 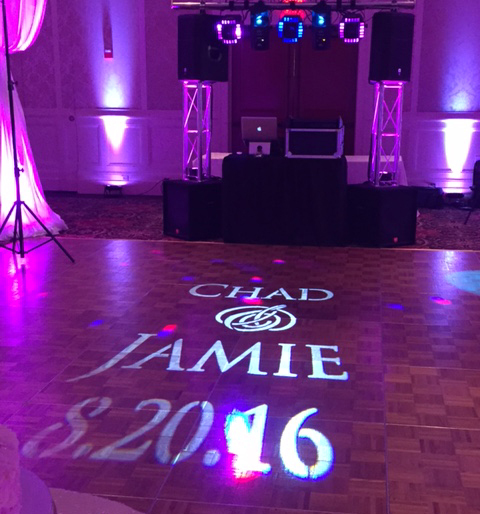 We heard from several of our guests that he was the best DJ they’ve ever heard. 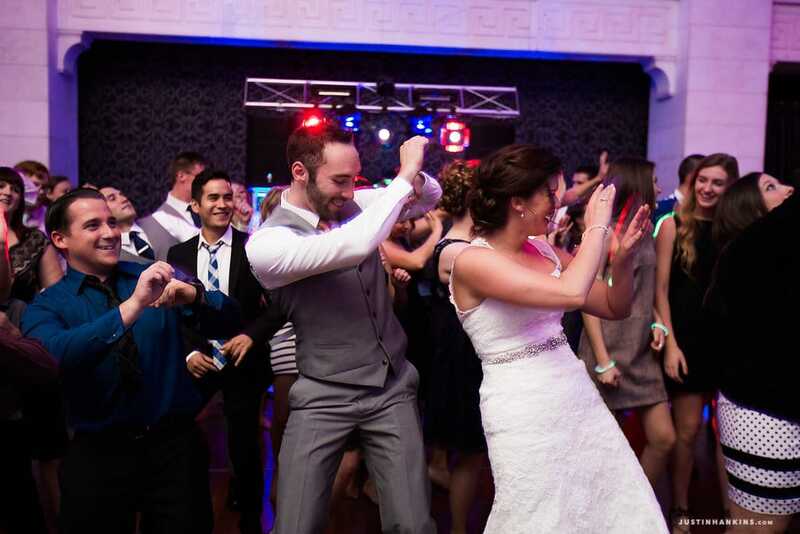 Aaron did a great job of keeping the guests dancing and having a great time all night long. It was truly a pleasure working with him through the entire process and I will recommend him to anybody in a heartbeat. I would like to let you know that Aaron did an absolute amazing job! He was great and we really enjoyed him being our DJ. We got many compliments from the guests regarding Aaron. He kept the dance floor full all night and was very active with the crowd! We could not be happier with his services. The uplighting was also great! He did what he could to match the pink perfectly with our colors. He went above and beyond our expectations and we are very pleased and appreciative of his great work! We will be referring him to others as well as keeping him in mind for future events! Thank you! Honestly Aaron was the BEST addition to my event! I received so many emails that were so happy we had entertainment, I have already emailed Aaron asking him to pencil us in again for next year! Thank you so much for working with me and the short deadline, price and all! I Will recommend you to EVERYONE I know who is looking for DJ services. Thanks again!! I would like to let you know that Aaron did an absolute amazing job! He was great and we really enjoyed him being our DJ. We got many compliments from the guests regarding Aaron. He kept the dance floor full all night and was very active with the crowd! We could not be happier with his services. The uplighting was also great! He did what he could to match the pink perfectly with our colors. He went above and beyond our expectations and we are very pleased and appreciative of his great work! We will be referring him to others as well as keeping him in mind for future events! Thank you SO MUCH for such a great night!! We had so much fun, I can’t believe how much everyone danced!! The boys had a blast and everyone we’ve talked did too. You did an incredible job!! I will definitely recommend you to anyone looking for a DJ for their wedding or party. It was great!! Thank you again for making our night so memorable! Thank YOU for doing such an awesome job! I think it goes with out saying that our guests had a blast. Thank you for working with us and I will DEFINITELY refer you to others looking for a DJ. All the best to you and thank you again for making our day so memorable! Everything about Rusch Entertainment is fantastic. From the first phone call I made to Rusch to the day of the wedding they were caring, professional and helpful in every way. We were given a few names and when I called Corey and asked who was available thankfully one of the DJ’s were and his name is Aaron Liversedge. He called me about a week before the wedding and we talked for almost an hour about music and what I wanted and he was asking me questions about the bridal party and I could tell he really cared and wanted to do a fantastic job..and HE DID!! He is awsome..he worked the music and the guests and got them dancing!! The music was fantastic..People never left the dance floor. I thank Aaron and Rusch for everything. If you are looking for any sort of entertainment, call RUSCH!!! You won’t be disappointed. I just wanted to thank you and DJ Aaron for a great event this weekend. We had close to 800 CMU students in attendance and they loved the DJ and music. We didn’t even think they were going to dance, but DJ Aaron got them dancing right away. They were having so much fun, it was hard to get them to leave at 2am when we closed the event. DJ Aaron had great music and was very interactive with students. He also did a great job with the Bernie Dance our and our raffles. Rusch Entertainment exceeded our expectations and we can’t wait to have you back next year for this event. Job well done!! We cannot thank you enough for the fabulous job you did with our special day on Saturday. Everyone has been raving about the great job you did and how professional you were. There is not one thing that we wished you would have done differently – it was top notch all of the way! 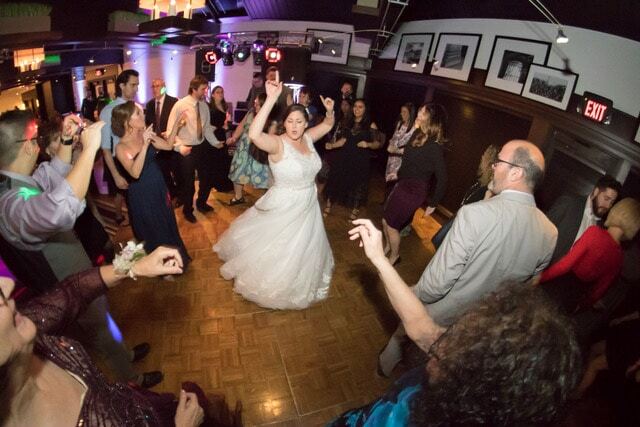 We are so glad that we chose you for our entertainment for the ceremony & reception. You were amazing and we can’t thank you enough. We will recommend you to everyone we know. Thanks again! You sent us a definite winner this weekend! We want Aaron booked again!!!!!!!!!! He was absolutely awesome! EVERYONE LOVED HIM! When can we get him back? He is the kind of DJ we have been wanting you to find for us…if you don’t have him available, do you have anyone else available of his same caliber? He is young has the look we want, and his material is young and fun and he knows exactly what our guests are looking for. Please let us know…we are definitely very excited to get him back when possible as often as possible (or anyone else as good as he is).Thank you so much for sending him!